All load centers are 200 Amp except for the 24 space unit which would be rated for 100 or 125 Amp. There is no material/color assignment. I've created a 6 and 8 breaker box (main lugs only). I will need to add in additional boxes that only have main lugs and not a main breaker for the other sizes, but that is work for another day. Perusing the selection of electrical outlets and boxes at my local Ace Hardware this morning it became painfully obvious that I should have added the option for "amperage" to the outlet parameters. I've never actually seen this type of outlet (NEMA 5-20R) installed in any residence I've ever lived at or in any new construction I've worked on but I'm sure it has its place. Currently the 240V outlets are limited to only 30A and 50A outlets. At some point I may add in NEMA 6-15R and NEMA 6-20R if there is call for it. This plugin is an add-on plugin/extension. 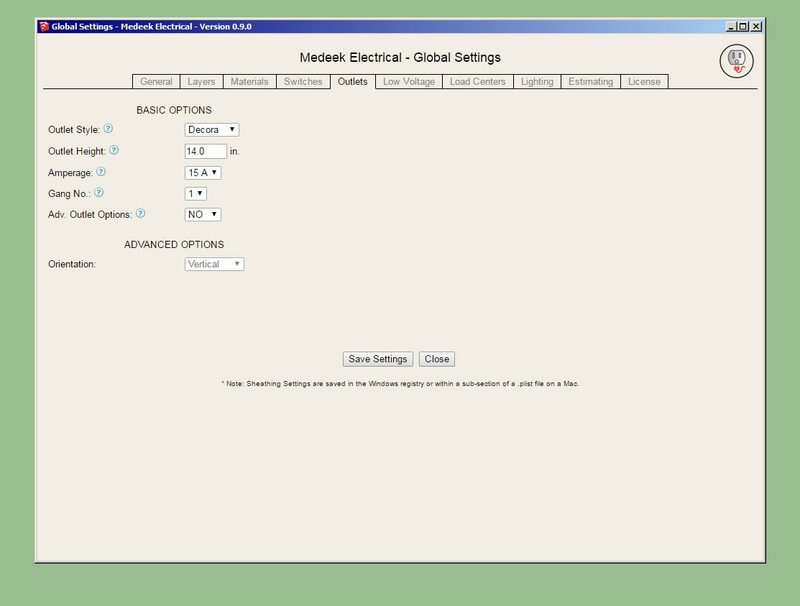 In other words it currently only installs switches, outlets, low voltage outlets and panels into the walls that are created by the Medeek Wall extension. At some point I may attempt to extend it to allow for operation with any solid walls but for now it is limited to working with the geometry created by the mdkBIM suite. There are a number of technical issues/reasons for this which I will not delve into at this time. Since it is not a stand alone plugin and is dependent (currently only on the Medeek Wall extension) I will probably not charge as much for it if it were a standalone extension. As such I am thinking about $20.00 USD for a permanent license with a $10.00 USD renewal for upgrades. Eventually it will be packaged with the mdkMEP suite but for now it is a standalone purchase and separate from the mdkBIM suite. It will eventually include its own estimating module which again is separate from the Medeek Estimator (Wall Plugin). I really haven't gotten that far yet but I will solicit feedback from the user base of this plugin once I release the BETA and determine how we want to put that together. I'll start with the simple nail mounted 3/0 and 4/0 boxes (Carlon B518 and B520). I should also add the hanger bar variants as well but I'll need to purchase a few more samples from the local hardware store first so that I can create semi-decent models. 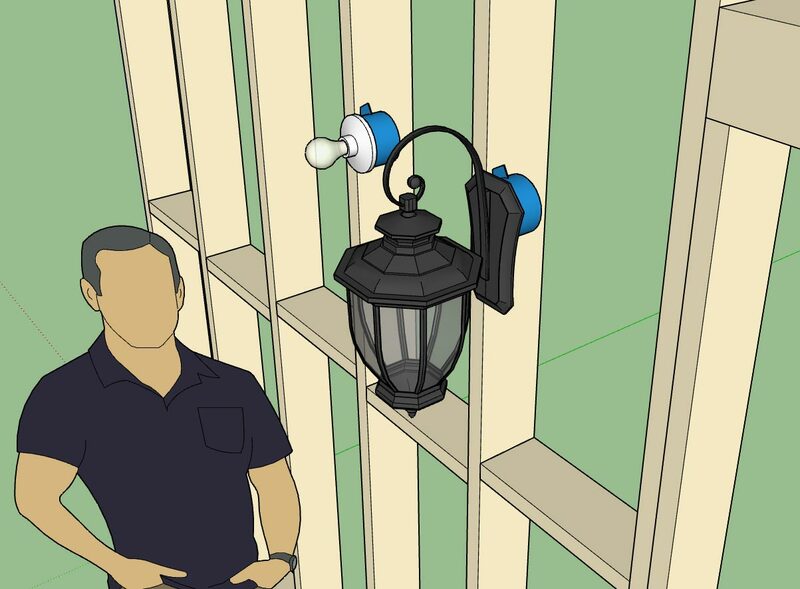 The plugin allows you to drop your own light fixtures into the library sub-folder so you can have as many custom light fixtures as you like (and I don't need to spend anymore time modeling things up). The fancy ext. wall lantern shown was simply downloaded from the warehouse, minor edit to make sure the origin of the file was in the correct place and then dropped into the light_fixture sub-folder. I will not be including this fixture in the distribution simply due to its size (1.2 Mb). However I will include some basic lampholders like the Leviton 49875 shown. Another thing to note, since the light fixtures are custom I will not be attempting to apply any material or color to them. For that reason there is no need to explode the component into a unique group. I will add some additional simple light fixtures and junction boxes as time allows or as requests are made. 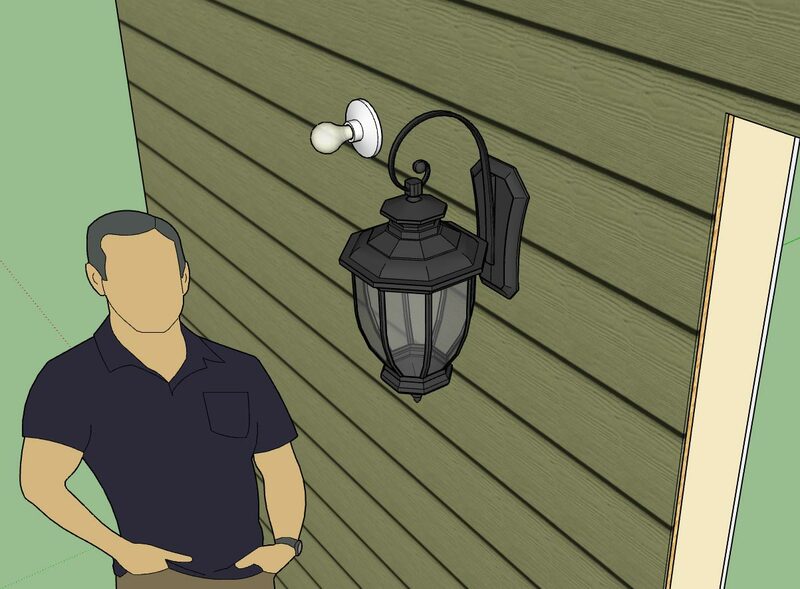 Currently the light fixture tool is limited to wall mounted fixtures. I am still contemplating how best to deal with ceiling mounted fixtures and what type of system/organization to employ. The estimating piece will be after I release the BETA. I'm almost ready to put this new plugin out there but I'm waffling on whether to spend some additional time on the draw tool and see if I can't make the plugin work with any (wall) geometry rather than just limiting it to an add on for the Medeek Wall plugin. 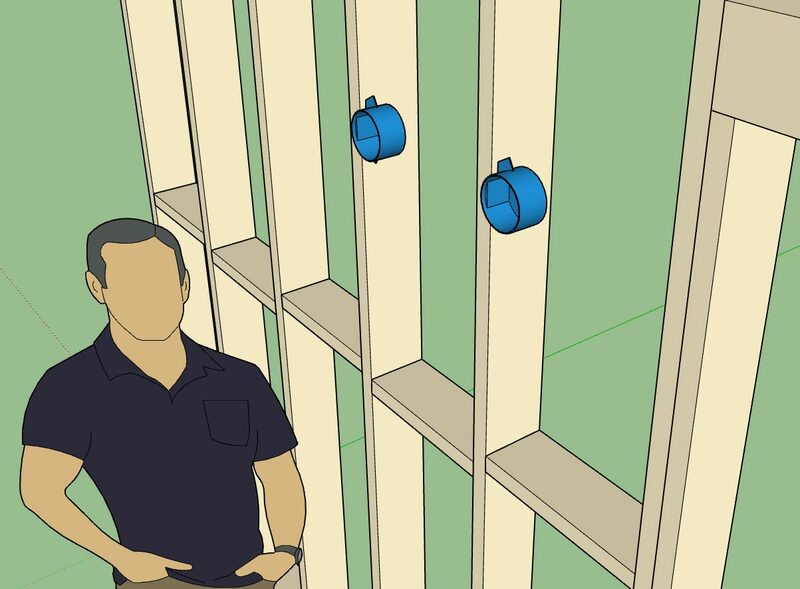 - Created the Medeek Electrical Plugin, utilizing SketchUp's Ruby API. 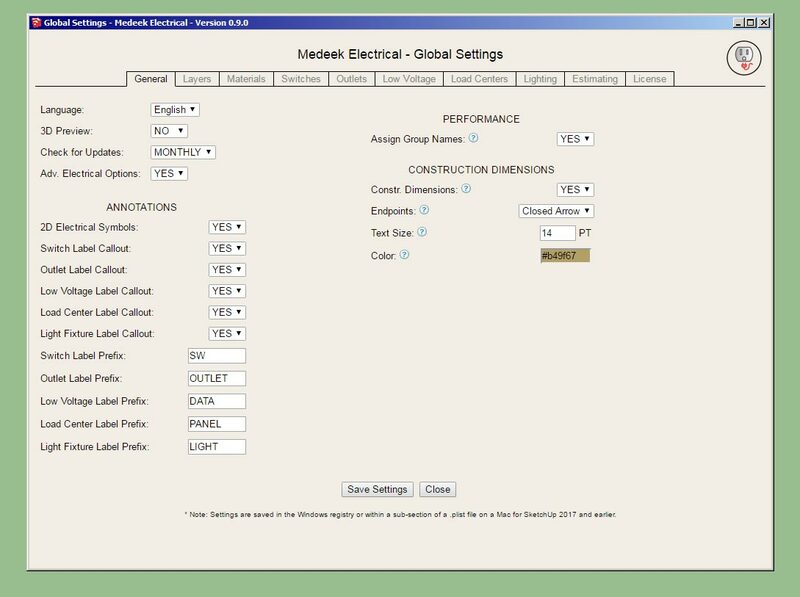 - Added tools to create switches, outlets, low voltage outlets, load centers and lights. Just a reminder that this plugin is currently dependent on the Medeek Wall extension to function. 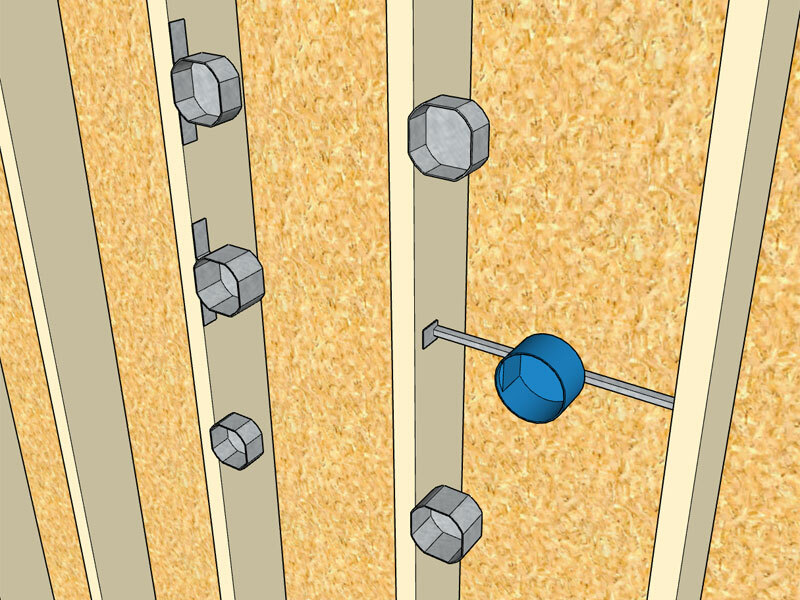 Also a new version of the Wall plugin is required in order to retain the electrical components within the wall panels. The upgraded version of the wall plugin will be released later tonight. - Parametric ability (edit menus for all fixtures). 1.) 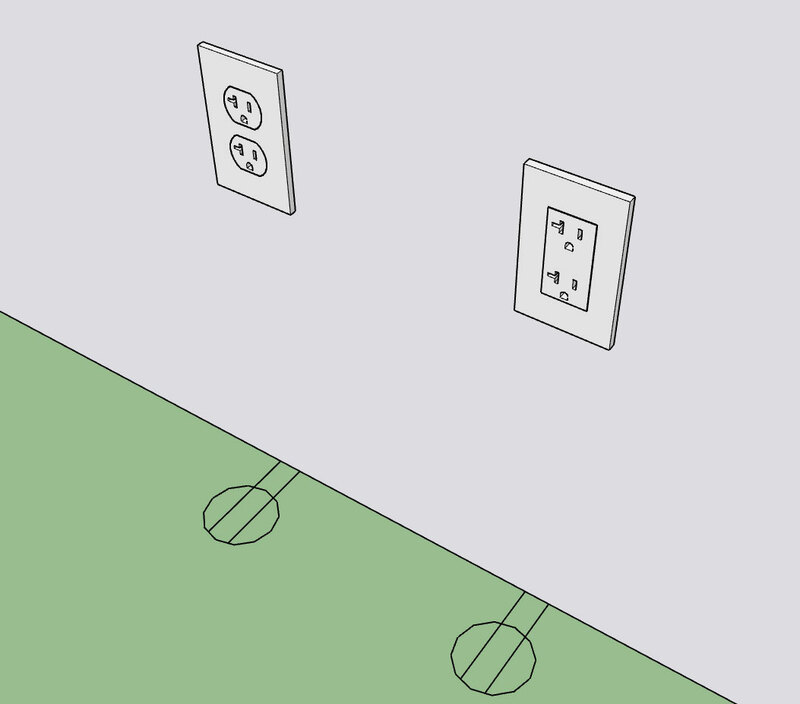 The Z height problem: Since I am trying to track the height of the switch or outlet I somehow need to know where the floor is located, not absolute as much as where is it inside of the group that contains the wall geometry. 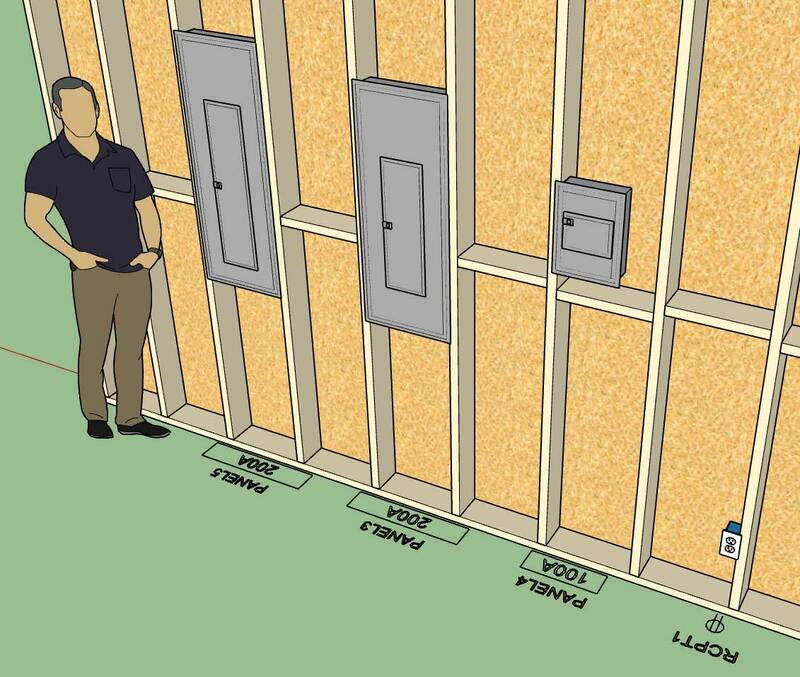 The reason for this is that the edit menu will allow the user to change this height and without knowing where the floor height is there is no way to know the height of the switch or outlet. 2.) The other issue is rotation about the Z-axis, so that the electrical component is facing outward regardless of which side of the wall it is on. With my own Medeek wall panels this problem is easy because the groups origin and axis are always positioned a certain way with regards to the wall, hence I am able to determine or specify a "wallside" for a given electrical component and then offset it accordingly based on the wall construction (stored attribute library). - Added additional Carlon and Raco octagon boxes into the Light Fixture module. Per customer request I've added some additional electrical boxes. The reason I have to add these boxes in is because I need to hard code in the dimensions so that the plugin knows what the width is when the box justification is toggled to left or right. Its not a big deal, it only takes me a couple minutes to add in a new box and its dimensions. If you have a particular box or light fixture you would like to see added please let me know. 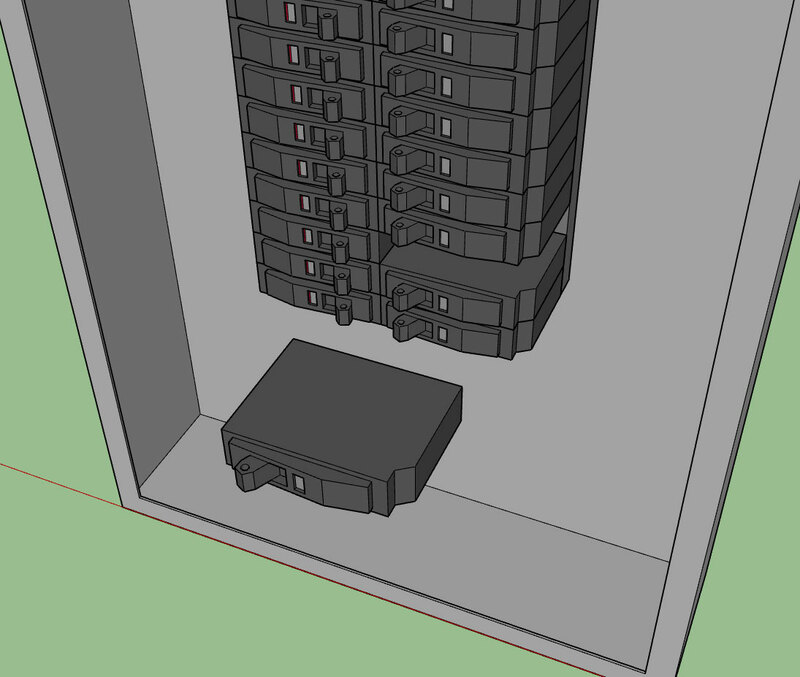 As far as other international standards (British, France, South Africa etc...), I would be excited to add these in as well but I don't have the time or the energy to model up quality, low poly models of typical boxes, faceplates and electrical components. If you would like to see these added to the plugin I would need to have low poly models provided to me. - Enabled the ability to draw switches with any wall geometry (removed the dependency on the Medeek Wall extension). I've been blasted with emails the last couple of days requesting that I make the plugin work with any walls, so I figured I might as well see if I can make this happen. This is largely experimentally at this stage since dealing with random (walls) geometry can be a bit tricky. I've only enabled this feature with the Draw Switches tool for now. Once I am satisfied with its performance I can easily migrate it to all the other tools. The wall must be a group, and its faces must be only one level deep, not nested group within group. Please download this latest release and attempt to break it, let me know your findings. Footnote: The bug encountered at the 16:00 min. mark has been identified and corrected. There is always more that can be done. Just remember though I am juggling four different extensions now, single handed and each one is very deep (and broad). So my time to devote to any one plugin or request is becoming much more selective. 1.) Most common configuration and manufacturer. 2.) Some indication of how much this feature would be used (does it fit the 90% rule). 3.) Commercial or Residential application.